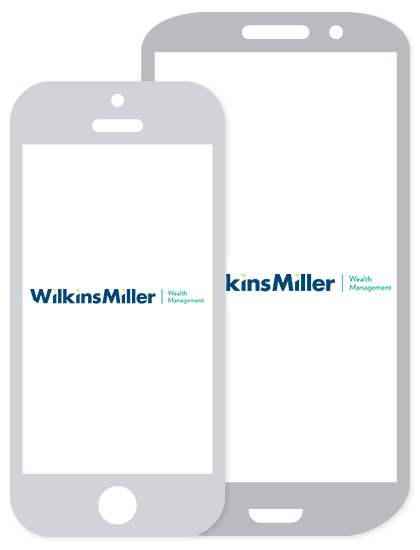 Wilkins Miller Wealth Management LLC (“WMWM”) is headquartered in Mobile, AL. WMWM is registered to conduct advisory business in Alabama and in other jurisdictions as permitted by de minimus law. Registration does not imply a certain level of skill or training. WMWM's web site is limited to the dissemination of general information pertaining to its advisory services, together with access to additional investment-related information, publications, and links. Proprietary papers and writings are the opinions of WMWM. Other articles, links, and information presented on this site are obtained from sources believed to be reliable, but they are for informational purposes only and WMWM does not guarantee their timeliness or accuracy. All written content is for informational purposes only and may not constitute a complete description of available investment services or performance. Neither the information nor any opinion expressed on this Site constitutes an offer by WMWM to buy or sell any securities or financial instruments, or to provide any investment advice or service. The services, securities and financial instruments described on this Site may not be available to or suitable for you, and not all strategies are appropriate at all times. The value and income of any of the securities or financial instruments mentioned on this Site can fall as well as rise, and an investor may get back less than he or she invested. Clients should consult their advisor with regard to any questions they may have. Nothing on this web site should imply that past results are an indication of future performance. Past performance does not guarantee future performance. This Site may contain links to other websites, including links to the websites of companies that provide related information, products and services. Such external Internet addresses contain information created, published, maintained, or otherwise posted by institutions or organizations independent of WMWM. These links are solely for the convenience of visitors to this Site, and the inclusion of such links does not necessarily imply an affiliation, sponsorship or endorsement. WMWM does not endorse, approve, certify, or control these external Internet addresses and does not guarantee or assume responsibility for the accuracy, completeness, efficacy, timeliness, or correct sequencing of information located at such addresses. Use of any information obtained from such addresses is voluntary, and reliance on it should only be undertaken after an independent review of its accuracy, completeness, efficacy, and timeliness. Reference therein to any specific commercial product, process, or service by trade name, trademark, service mark, manufacturer, or otherwise does not constitute or imply endorsement, recommendation, or favoring by WMWM.